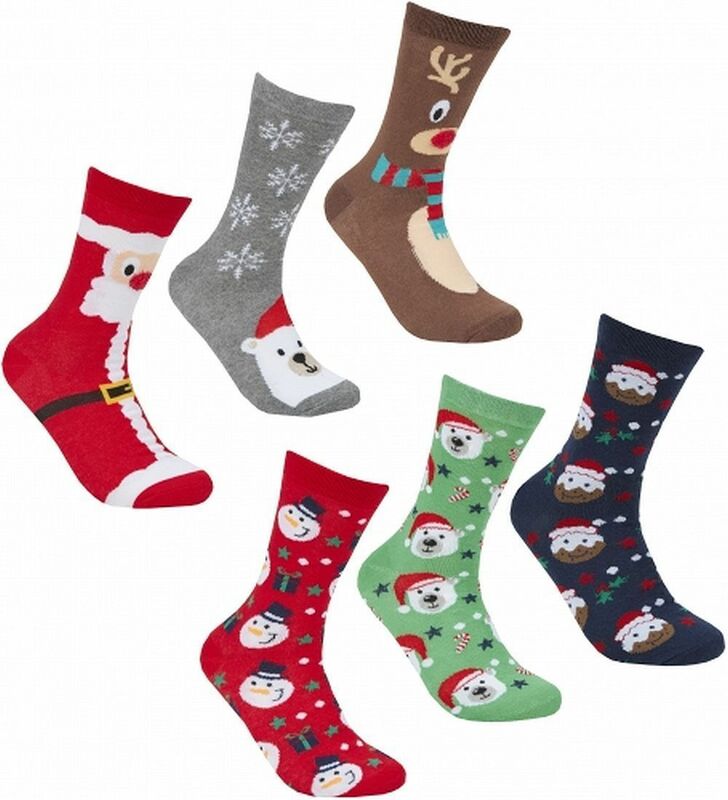 A pack of ladies cotton rich festive Christmas socks. 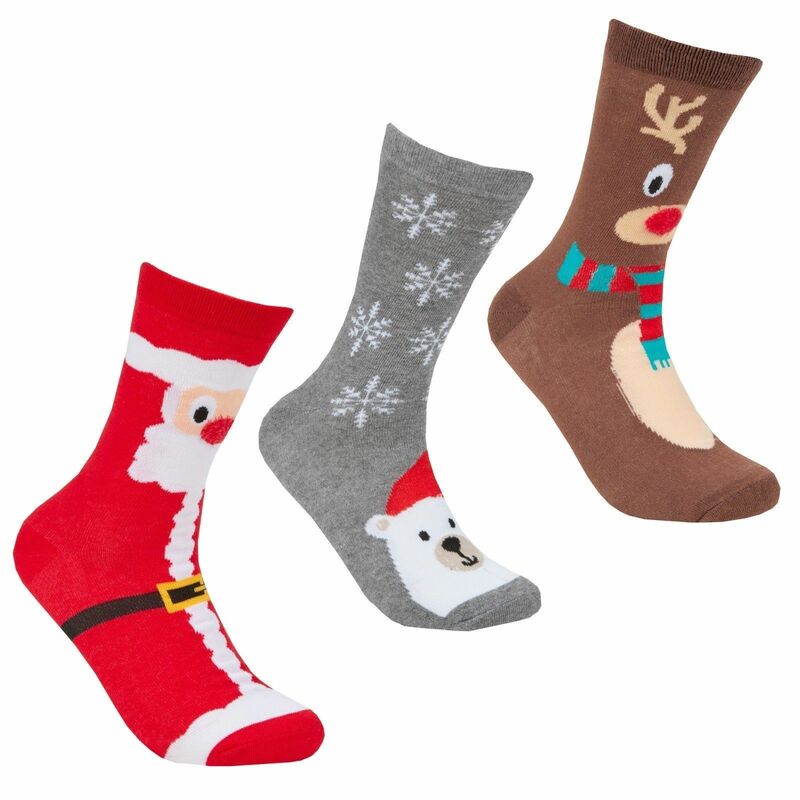 Each pack of socks contains different designs including Santa, Reindeer, Polar Bear, Christmas Pudding & Snowman. Fabric content is 78% cotton, 20% polyester & 2% elastane. Please note the postage in the UK is a parcel size not large letter.